The revised Payment Service Directive (PSD2) is aimed at ensuring transparency and fostering innovation in the financial industry. Following the implementation of PSD2 requirements, the payments ecosystem is expected to become more harmonized. Also, banks, payment providers, FinTech companies and merchants will be able to compete better and even collaborate to benefit the consumer. Which are the major changes introduced by the new Directive? The most debated and most significant changes related to PSD2 are Access-to-Account (XS2A) and the introduction and regulation of third-party payment service providers (TPPs), those that offer Payment Initiation Services Providers (PISP) and Account Information Service Providers (AISP). The payment chain will be simplified by removing the intermediaries, as PSD2 allows merchants to ask consumers for permission to use their bank details. In this case, the merchant acts as a PISP and initiates the payment while the consumer’s bank, now also known as Account Servicing Payment Service Provider (ASPSP), manages the account. The merchant and the bank are expected to communicate to each other using an open Application Programming Interface (API) for which the European Banking Authority has defined the Regulatory Technical Standards (RTS). The RTS lists all the standards that APIs will need to comply with (what data is transferred, what are the security protocols, what happens if things do not work as expected, etc.). The addition of AISPs will allow consumers to consolidate their bank account details from several different banks into one single account aggregator. Banks, as well, can decide to become AISPs, which means their customers might log in to their bank account and see information from all of their other bank accounts. Undeniably, the PSD2 will enable a lot of new companies to get into the payments space and will force the existing players to innovate in an attempt to remain relevant and competitive. With the steady increase in FinTech start-ups that are keen on capitalizing on opportunities provided by PSD2, banks and merchants alike need to adapt faster to the changes brought by PSD2. Is PSD2 a game-changer for merchants? As previously described, with PSD2, merchants have the opportunity to act as a PISP and become their payment processor, connecting to their customers’ bank accounts via APIs under the XS2A rule. This will not only give instant payment confirmation but will also significantly reduce costs associated with card schemes and other intermediaries. Merchants will now be able to take online or mobile payments directly from a consumer’s bank account. Additionally, since merchants will be able to securely access the customers’ bank account and collect their payment, complex checkout processes will no longer exist. Becoming a PISP is not without its challenges and merchants need to be aware of them. If they want to become PISPs, merchants will be required to comply with the directive’s Regulatory Technical Standards and provide strong customer authentication and secure communications. All of these in addition to struggling to innovate their product to stay competitive. For smaller merchants, this becomes even more challenging as the struggle to meet all regulatory requirements leaves too little time to interact with customers and develop their business. Financial experts believe that online merchants who will be able to analyze their payment strategy and adjust their systems to comply with PSD2 requirements will take advantage of the changes and increase their payment revenues. On the other hand, there is the case of merchants who believe that PSD2 will not impact their businesses and that these regulations might cost them a lot of money without adding a lot of value. With less than six months until the deadline, it seems there are still a lot of questions around the challenges and opportunities PSD2 presents for businesses of all types. The most exceptional added value might be for consumers, who will undoubtedly benefit from new value propositions, services, and solutions from new entrants, from banks and FinTech start-ups combining their strengths, or from banks striving to become agile and disrupt the financial space. There are 0 comment. 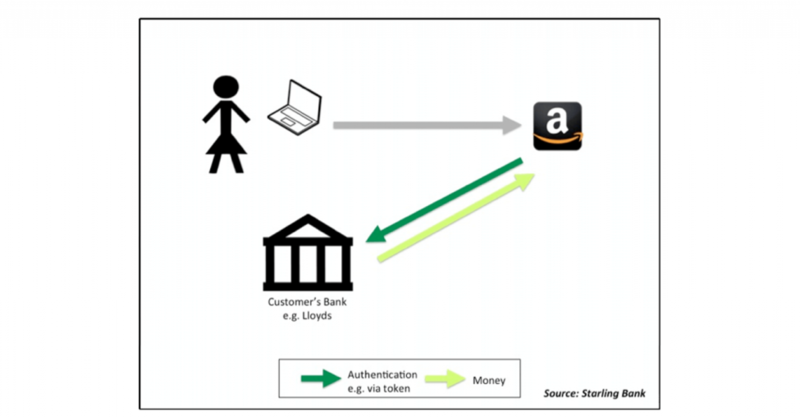 on "PSD2 and the impact on merchants"